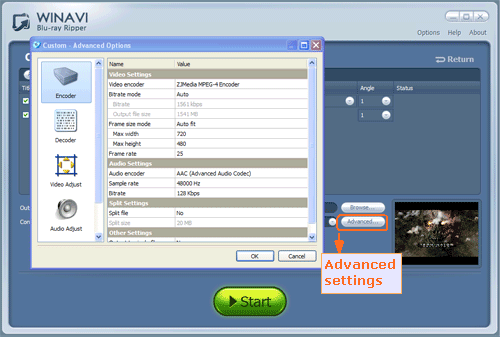 How to rip and convert bluray to Apple TV with WinAVI Blu-ray Ripper? If you are not familiar with this program and want to get a Blu-ray movie to your Apple TV. This article will clarify you. 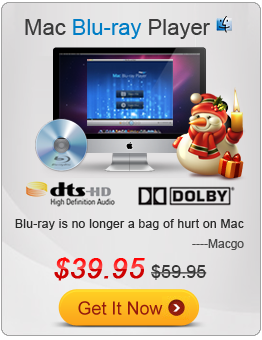 Here is the detailed steps for know about how to rip and convert bluray to Apple TV. Step 3: After the disc is inserted, you can click "Convert from Blu-ray Drive ", then the program will import all the Bluray titles. Also you can click "Convert from Blu-ray directory" or "Convert from Blu-ray Image File" button to load BD file. 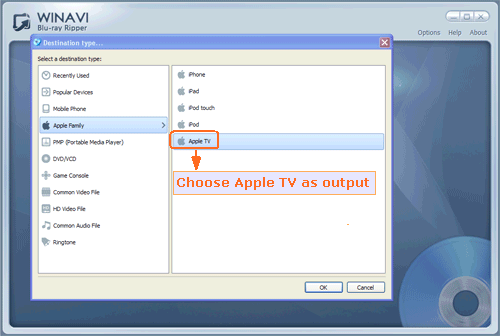 Then a small window will pop up and ask you to select the output format, here we choose "Apple TV" as output directly. Step 4: Click "Advanced " option to customize your output video for playing Apple TV. You can adjust the video frame, subtitles, audio, etc. Step 5: After advanced settings were done, just click the green button "Start" to convert Bluray to Apple TV. And now the program switch to a new converting interface. Step 6: When conversion is completed, you can check the output video by clicking "Open the output folder" button and transfer this video to your Apple TV. Have you learnt how to rip and convert Bluray to Apple TV now? If you think it is easy, just have a try.